Staci, thanks for stopping by. I am so excited that you have released your final book in the Medici Protectorate Series. I can’t wait to see how it ends. I pre-ordered my copy and have started reading it. Hi, Michele. Thanks for having me here today. I’m excited to share your final book in the series. I know I couldn’t wait to see how the series ended, and I have several friends that are waiting as well. But I also have some questions for you regarding the series and one of a personal nature. I know that the finale of any series can be difficult. What will you miss most about the Norato family and Brothers of the Protectorate? This series began when I thought about my grandfather’s heritage. His father was the illegitimate son of nobility. Hours (days? weeks?) of brainstorming later, and the Medici Protectorate was born. The hardest part of ending this series is ending my connection with my grandfather (who I miss every single day). I know working in this world didn’t really bring me closer to him, but it felt like it somehow, which makes the ending harder for me. It doesn’t hurt that I’ve got a spinoff series (the Nightforce Security series under the pen name Keira Beck) where the Brothers often pop up. Which sister do you think you identify most with? That’s hard, since I put different aspects of myself in each of them. For example, all four of them chose career paths that interest me. Toni complains about exercising as much as I do. I feel the same sense of responsibility that Franki does. Jo hates invasion of privacy as much as me, maybe more. Maybe I’ll choose Donni because she loves to cook and bake. Really, it’s hard to choose. Will the sisters and the brotherhood be making any appearances in any of your upcoming novels? Like I mentioned above, I have a spinoff series called the Nightforce Security series. It features Danny Caruso, a secondary character in the Medici Protectorate series. Every now and then, the Brothers make a cameo. Even the sisters have. Book one, Hideaway by Keira Beck, is already released, and book two, Gamble, will be out soon. Three is already done, four is halfway finished, and five through eight are outlined. So we haven’t seen the last of the Medici gang. What sort of research did you do to write this book series? I did extensive research on alchemy, mythical properties/powers of stones and colors, the Medici family, and the Renaissance. Most of my research revolved around things in the distant past, but the series is actually set in the present. I also poured over maps of Italy and descriptions of certain cities/regions. Too bad I couldn’t go there in person and see the sights first-hand! What was the most difficult part about writing this book and this series? I think the hardest part was the learning curve. While Bleeding Heart wasn’t the first book I had published, it was the first I’d written. There was a lot I didn’t know then. When I reread the books in order, I can see my craft improving. 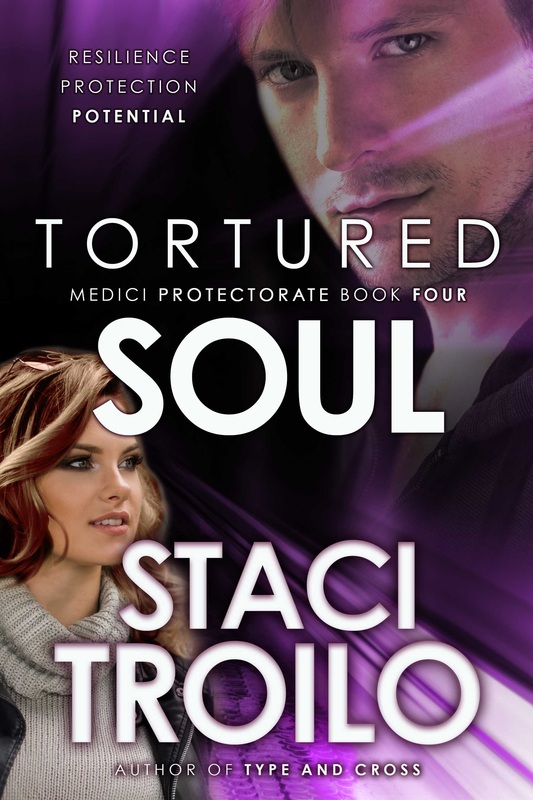 Book four, Tortured Soul, is my strongest work. My editor actually said it was the cleanest manuscript he’d ever worked on. He also said the ending had him misty-eyed. I take his comments as a sign that I have learned a lot and am releasing a really good book. What’s the worst job you had before becoming a full-time writer? After I graduated, I was a full-time writer, although it was corporate work instead of creative. Then I became a freelance writer, a college professor, and an editor. Each of these had specific challenges, but none of them made me hate the jobs. Thanks for hosting me today, Michele. I appreciate it! Good luck with this release. I am enjoying the read. Glad to have you pop by, Marcia. You will enjoy the series. Thanks, Marcia. I look forward to your thoughts, whenever you’re done. Michele, so glad you hosted Staci today. Loved the interview, Staci. I also put a bit of myself into my female characters. I had forgotten you wrote book one long before you published the Cathedral Lake Series. Quite a compliment from your editor on the last manuscript. I too am enjoying this series. I can relate to the heritage. I hope these characters get another book at some point. Maybe a future with their children??? It seems my writing has come a long way. I’m interested to see what people think of the progress (those coming to the series for the first time and making it the whole way through). I see the change; I wonder if everyone else will. Loved the interview, ladies! It’s clear how much research went into this series. I’ve been fascinated by the aspects of alchemy and and the powers of the daggers/colors. Staci, our grandfather is surely proud of all you’ve accomplished. I love that your connection to him sparked this series. It’s always interesting knowing where the ideas come from. I get inspiration from the strangest things. But this one is a bit closer to me. I hope he is. He loved to read, but I somehow doubt this would have been his choice of genre. Still, writing this made me feel closer to him, and nothing would please me more than if he felt it, too. I really enjoyed the interview Staci! Great post. Glad you stopped by. I hated to see this series end. I enjoyed the writing and the characters. I can see you as a college professor. Interesting to get a bit of your history along with all the research. I can picture her teaching. She has that quality. Glad to see you stop by. Thanks for stopping by, Craig. Wow, Staci, you’ve had an interesting array of careers! How could I complain about any of those jobs when they all led me right here? Thanks for dropping by, Jacquie! Excellent interview. If my brother wrote a book, I would ask the same ones. Good job both of you. Thanks, John. Glad you could stop by. Thanks, John. 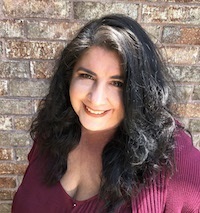 I’m looking forward to my sister writing a sequel to her debut novel (or a complete departure) and having the opportunity to return the favor.